NO. 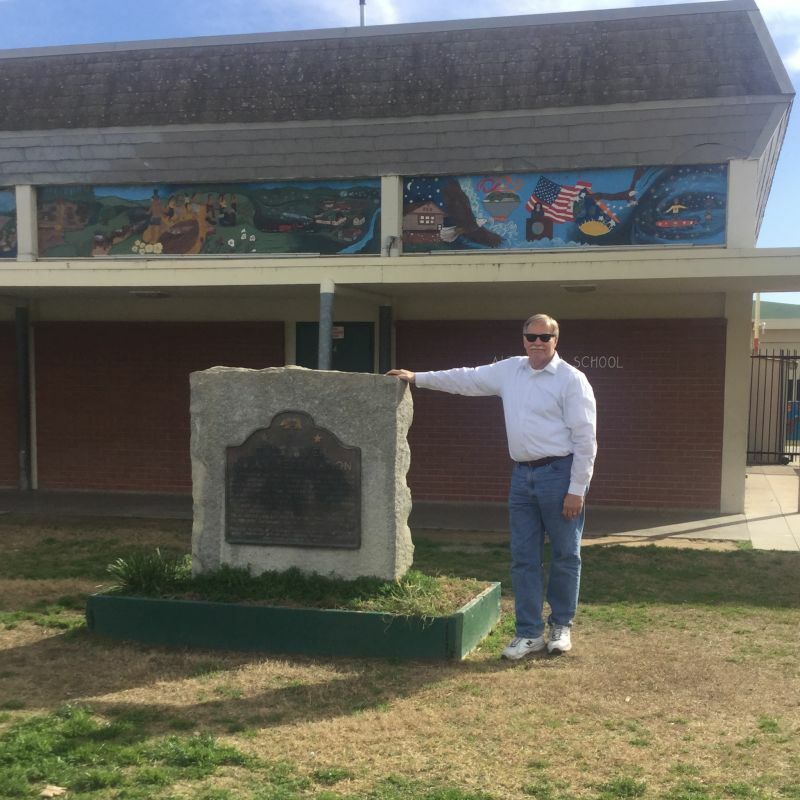 388 FIRST TULE RIVER INDIAN RESERVATION - A reservation was originally established in 1857, and Indians from a widespread area were brought here. The natives of the vicinity, the Koyeti tribe towards the west and the Yandanchi tribe toward the east, were branches of the Yokuts Indians that occupied the San Joaquin Valley. 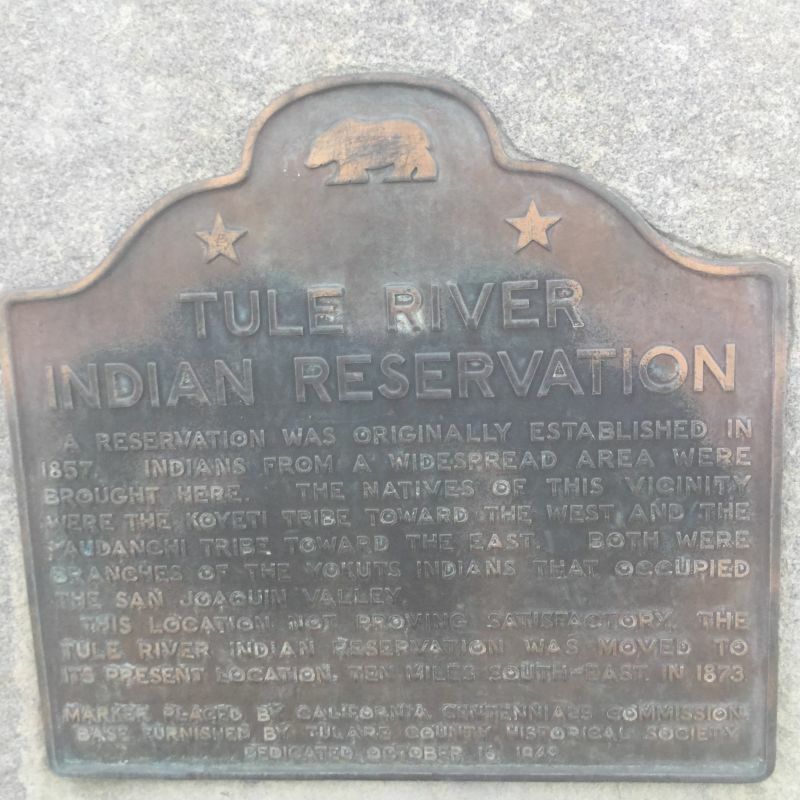 The Tule River Indian Reservation was moved to its present location, 10 miles to the southeast in 1873.